Displaying 90 works of Nabi painter Maurice Denis on the theme of spring, the exhibit underlines the poetic and decorative talent of the artist. 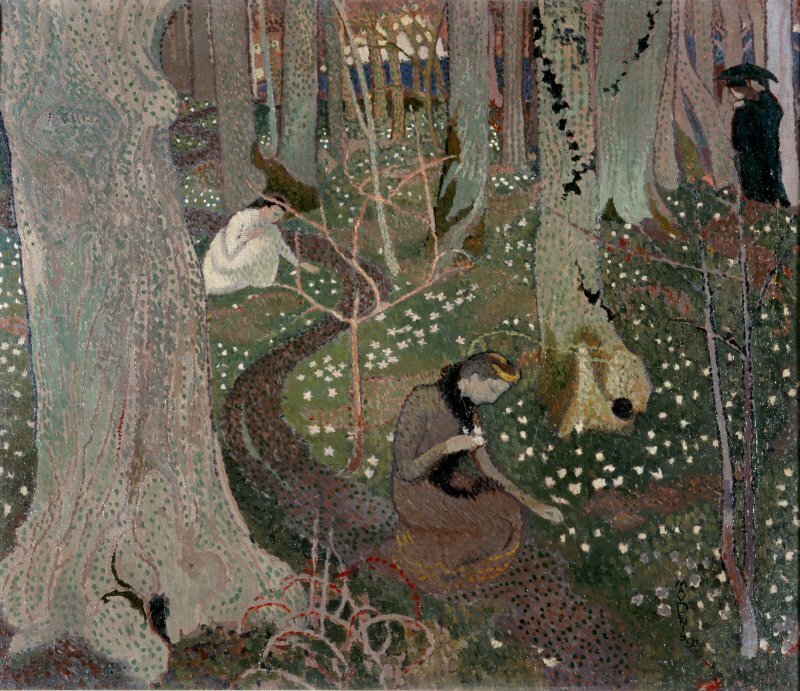 Maurice Denis (1870-1943) explored the theme of spring throughout his career. The exhibition starts with a room dedicated to the awakening of nature in springtime. Denis, who lived in Saint-Germain en Laye, West of Paris, was inspired by the nearby Foret de Saint-Germain. Christian Spring and Earthly Paradise, which are the themes of the second room. The mystical aspect of Denis work is evocated thanks to paintings featuring times of the christian calendar, from Announciation to Resurrection. The exhibit continues with the Spring of Life and the First Signs Of Love. Meeting the beloved, the time of engagement, were part of Denis experience. He had met his wife Marthe when he was 20 years old. They had seven children. The MDIG exhibition stresses the extraordinary talent of Denis as a painter-decorator, thanks to works rarely displayed publicly like painted doors, ceiling, windscreen, recomposing constitutive elements of a music room or a girl's bedroom. Drawings, photos, letters, illustrated books, unveil preparatory works for paintingson show in the exhibition. The MDIG exhibit received loans from public and private collections, among them loans from the musee départemental Maurice Denis of Saint-Germain-en-Laye, housed in the painter's home, and from Musee d'Orsay.